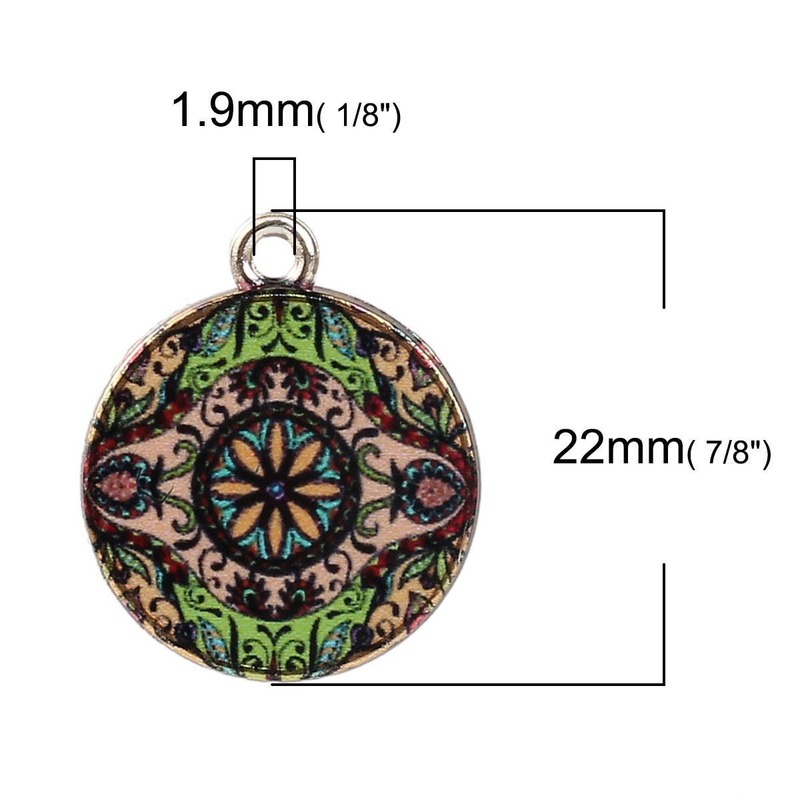 Transparent Glass Buddhism Mandala Charms Round Multicolor 22mm ( 7/8") x 18mm ( 3/4"). 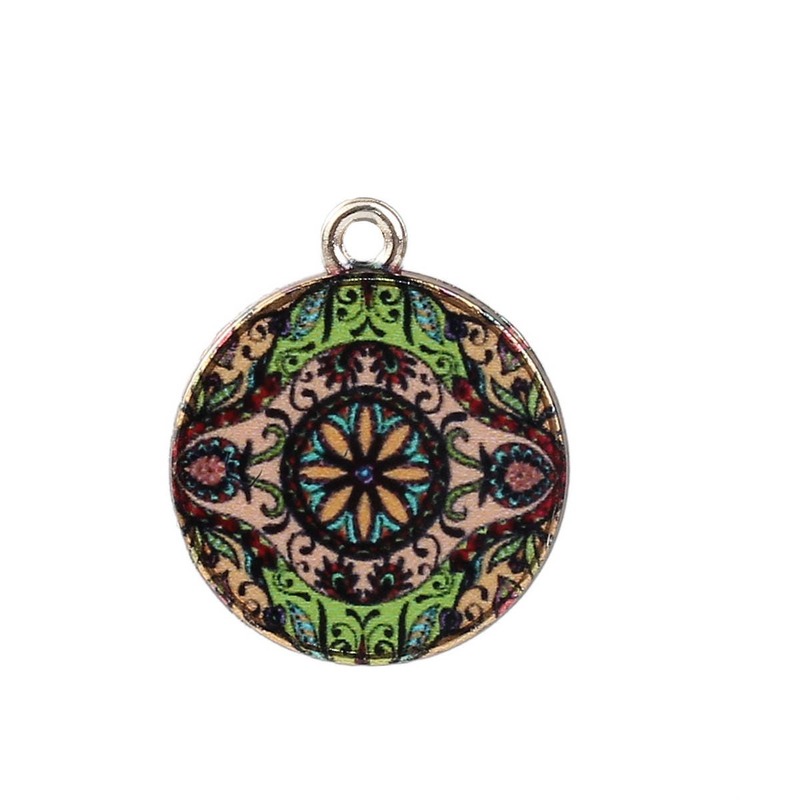 Single sided charm with gold zinc based alloy on the back. 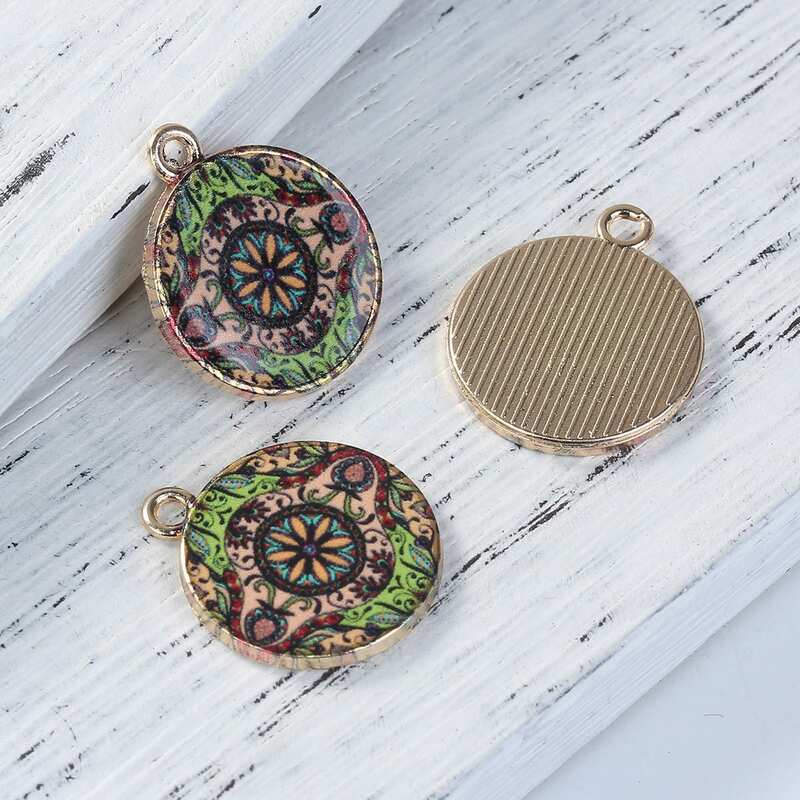 Materials are Zinc Based Alloy & Glass (Lead and Nickel Safe). You will receive 2 charms. As shown. A pleasure to deal with this seller.